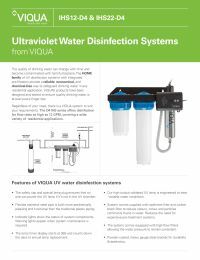 The Viqua IHS22-D4 UV System is an ultraviolet disinfection system that adds integral prefiltration technology for the reduction of chlorine, unpleasant taste and odor, and dirt and sediment. 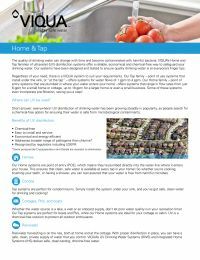 This model is ideal for homeowners who are on a municipal water supply and have concerns about chlorine and bacteria in their water. 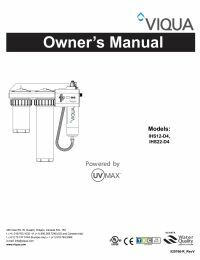 The Viqua controller provides constant output current and a universal power input (100-240V/50-60Hz), as well as visually displaying remaining lamp life and total days of operation. 25.2" x 12" x 28"